One of the world’s great pilgrimages, the Camino offers everything a travelling cyclists could ask for. Amazing food and wine is standard, historic accommodation and ancient towns line the route, and taking part in something that has captivated people for centuries makes the experience all the better. In case you don’t know it, the Camino, or Way of St James, is an ancient pilgrimage walk to the grave of St James, one of the Twelve Apostles, in Santiago, Spain. There are various routes that can be taken to Santiago but the most popular is the Camino Frances which starts just over the border in France. The trail was popular one thousand years ago and after a recent resurgence popular again with hundreds of thousands of people completing some or all of this ancient passage each year. Most travel by foot, but there are others on horse, some drive to take in the famous sites along the way, and an estimated 10% travel by bicycle. While the Camino is largely considered a walking pilgrimage I think it is also one of the great bicycle trails in the world. And for anyone who likes throwing a leg over their trusty two wheeled friend it may just be better to ride than walk. The Camino has everything that a travelling cyclists could ask for. Towns are well spaced for meals, water, and accommodation. The food is amazing and there is always a lot of it. 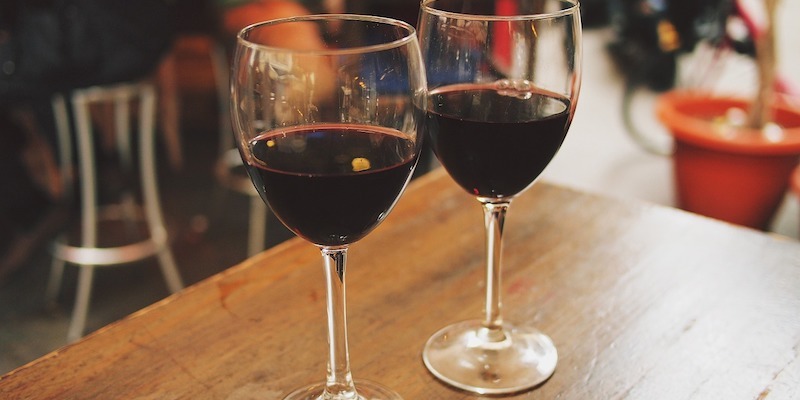 Wine is ever present and an important part of meals. The hotels are a great mix of historic and modern, simple and luxurious. Ancient towns line the route. To me nothing is better than lounging on a sunny afternoon in the plaza of a historic town, a view onto the ancient cathedral, restaurants spilling out onto the cobbled square, a smooth wine in hand and great company to laze away the afternoon. The Camino Frances is 800km and takes at least 41 days for most people to walk. Can’t get away for that amount of time? Easy, ride a bike and do it in less than half the time. You still experience the Camino, have a great time in Spain and if you think you might like to walk it someday when you have more time you’ll have a good idea after cycling if coming back for a long walk is your kind of thing. Some would say you miss out on the camaraderie that walkers experience. Pilgrims who are walking do tend to get to know those around them who walk at a similar pace and will often see the same people day after day. On a bike there is camaraderie with your fellow cyclists. If travelling with a tour group there are likely to be many people in your group you don’t know and these become your Camino comrades during your time on the trail. You can do as one gentleman did on my last Camino: stop and talk to all the walkers. His mission was to meet as many people as he could and that he did, stopping constantly to talk. He was always the last to arrive each day but he had some great stories to tell! You can take your time when riding as the distances are never too long. You decide how you want to treat each day. Sometimes I ride a little quicker and get to the next overnight stop by lunch, sit in the town square and enjoy a long long lunch, then explore the town. Other days I take all day to ride the easy distances and really take in everything or enjoy the many alternative routes. When on a bike you have more opportunity to take some of the alternative routes that are possible along the Camino. While the Camino has a defined official route there are many scenic routes which take you away from the main trail and through more remote areas and natural landscapes. There are fewer walkers and some beautiful scenes to behold on these detours. For the history buffs there are countless churches, monasteries and other ancient buildings to enjoy but not all of them lie on the Camino. Being on a bike means that a couple of extra kilometres won't break you, while for walkers extra kilometres are usually avoided. You can move a bit more quickly through the less interesting parts on a bike. The Masetta would be a long couple of days walking, while on a bike I really enjoy this section as we move through it in a day, have time to stop in the few towns along the way and have no difficulty sourcing food and water which is an issue for walkers. There is a surprising amount of the Camino on roads, where the modern world has followed ancient paths and put down bitumen for transport. Walkers often find themselves walking on footpaths or tracks right next to roads. While cyclists can actually enjoy these sections of smooth riding, walkers are dreaming of getting back to the small dirt tracks that are great for both walkers and cyclists. Some people think that cyclists are annoying to the walkers. In my last Camino which took in 550km of cycling, two people of the many hundreds or thousands I passed ever expressed any annoyance. One person thought we should have bells on our bikes (the Spanish-owned, Camino specialist bike hire company we use does not put bells on the bikes because they think it is against the spirit of the Camino) and the other was probably just having a bad day. If you treat the trail as the domain of the walkers and make it your duty to pass them safely and with grace you'll have a great relationship with everyone. We always slowed to walking pace and called out “hola” and “gracias” along with a “buon Camino” as we passed. Some we stopped to chat to. It was all very pleasant and proof that with respect cyclists and walkers do mix. I may go back and walk the Camino one day, but it will be when I can take a few months to do it. Many walkers are on a schedule and don’t have time to stop for rest days in places that they find they like. They get blisters and other injuries but need to press on to keep to their schedule. When the time comes that I can spend a few months walking with no real schedule, it will be the time I will walk. For now a two week leisurely bike ride is the perfect way to experience all that the Camino offers and rates as one of my favourite bikes trips in the world. Jason and Pedal Pedal rode Spain in 2016 on a fun two week cycling along the last 500km of the Camino. If you are interested in a trip like this please use the contact page to get in touch. We return to Japan for an encore of our impressive tour of Japan. Two weeks of cycling, food and experiencing the best of Japan. Ride up a volcano and relax in hot springs on this fully supported cycling tour. Warm toilet seats, slurping noodles, vending machines for everything, cuteness everywhere - Japan is modern, quirky and like nowhere you will have been before or likely to go in the future. It’s a place unlike anywhere else in the world. Here’s why you should put a visit to the land of the rising sun on your cycling bucket list. How do the Japanese make even a simple bowl of noodle soup taste so special? Japan was isolated from the rest of the world for a very long time and thus developed many culinary traditions that are unique and unaffected by foreign influence. One distinguishing feature of many signature Japanese dishes is a dedication to simplicity and purity: fewer ingredients, cleaner flavors, and less manipulation of the ingredients. The beauty of being on a cycling tour in a country with such beautiful food is that your appetite is strong and you can eat and try more food. In many cases a cycling tour of Japan is more like an eating tour with some cycling between meals. The reverence the Japanese have for preserving their history is next-level. Every shrine and temple is lovingly tended to, and held as close to its original state as possible. You can attend a Shogun fortress in Kyoto and learn all about how they hid in the walls, waiting to protect the emperor. You can attend ancient ceremonies that have been enacted for centuries, and are played out in all their former glory, not just for tourists but as a way of life. You can still find beautiful old vistas in little castle towns, mountain villages and tiny fishing villages, preserved to be exactly as they would have been years ago. It honestly feels like another magical world. When investing in roads the Japanese have often replaced the old one with a new one running in parallel. This leaves the quiet old road (still well maintained) as a perfect route for cyclists. These almost deserted, well maintained, hotmix roads, take you up climbs over deserted mountain passes, and down descents with more switchbacks than Alpe d'Huez. Many of the roads have low speed limits of 40-60 km/h, so even when there is traffic it goes at a sensible pace which makes for a safe and comfortable riding environment. Plus the Japanese are among the most courteous people going so you can relax a little on the roads. Most Japanese live in the crowded plains where the mega-cities exist and which projects the idea that Japan is all neon and hi tech. But much of the country is rural and largely untouched. There is an incredible amount of natural beauty, be it cherry blossom season, iconic snow-capped volcanoes, tall timber forests, diverse coastlines, or stunning crystal clear lakes. Japan, being a land of volcanoes, has hot springs bursting out of the ground throughout the country. All this natural beauty combines seamlessly with the ancient buildings to create a stunning landscape. If you haven't ever considered visiting Japan because you thought it was all about the cities, think again. The incredible beauty of the landscapes are something that should be experienced by all keen travellers. Like much of what has already been described above, the Japanese have been able to develop their own style when it comes to accommodation for visitors. While modern western-style hotels are common in cities and larger towns, the ryokan really is the epitome of where you can lay your head each evening when staying in smaller towns. Ryokan are small and family owned inns that give you a taste of old Japan. With tatami mat floors, futon beds, shared natural onsen thermal bathes, and yukata (a casual kimono) for wearing around the residence you need to leave your regular ideas of a 'hotel' behind you. 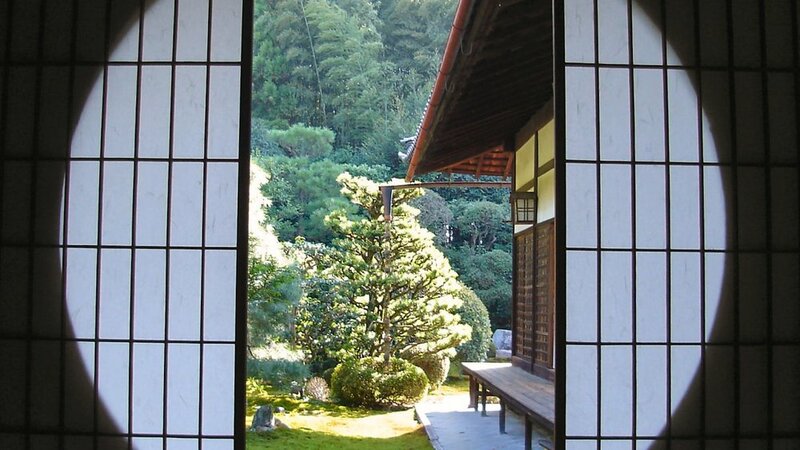 Ryokan have a long history, once serving travellers along Japan's ancient highways. The oldest ryokan in Japan still operating was opened in the eighth century! Whether it is an onsen ( a bath house where water is pumped up from volcanic activity under the earth) or a sento (regular boiled water sometimes with minerals added), soaking in a bath after a day's riding is incredibly relaxing and invigorating, there are even reported health benefits. Yes, it’s a bit unnerving to strip naked in front of strangers…at least at first. Once you realize this is just another Japanese custom, as inherent to the culture as using chopsticks, bowing, and taking your shoes off before entering a house, the shyness slips away. If anything, you become emboldened in your naked state. It becomes just another aspect of the experience as a whole, rather than the one that defines it. You realize no one is judging you or comparing their body to yours. So will cycling Japan change your life? Maybe not quite on a level where your whole life's direction changes. But you will come home with a new perspective on how life can be lived and you will have eaten some of the most delicious food in the world, cycled quiet roads passing through stunning scenery and experienced a very different way of life that blends the ancient and very modern into a unique culture. For me that counts as life changing, and it certainly makes for life long memories that can only be created by getting out and doing it! Pedal Pedal will be heading to Japan in September 2018 for our unique two week cycling tour across three of Japan's main islands. To find out more or make a booking, click on the link below. $400 early bird discount applies until 31 Dec 2017! Join Pedal Pedal and the Japan Tourism Bureau to hear all about cycling and Japan. In 2018 Pedal Pedal head to Japan for our annual Grand Pedal. Two weeks of cycling, food and experiencing the best of Japan. Fully supported cycling! We respect your privacy and never share your details with anyone.